This post is part of a Dodo series focused on endangered species. Go to racingextinction.com to learn about an upcoming film on threatened animals and an event the evening of September 20 in part sponsored by The Dodo. 1. Their mustaches are for function, not style. 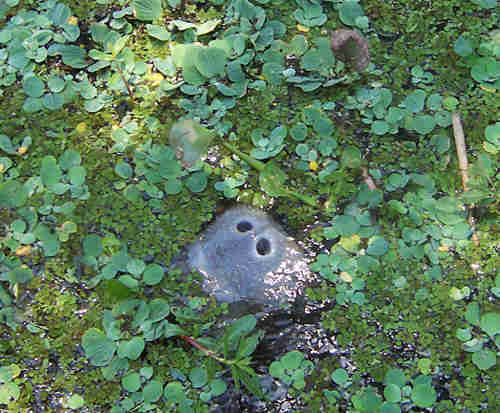 Though they look very similar, manatees and dugongs are not one in the same. 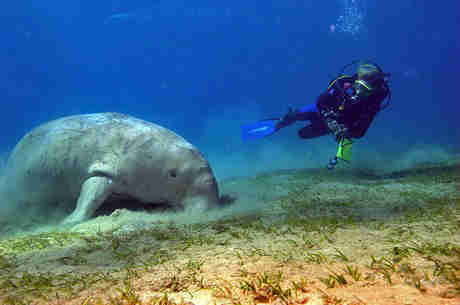 Manatees generally live in freshwater, whereas dugongs can usually be found in marine environments. 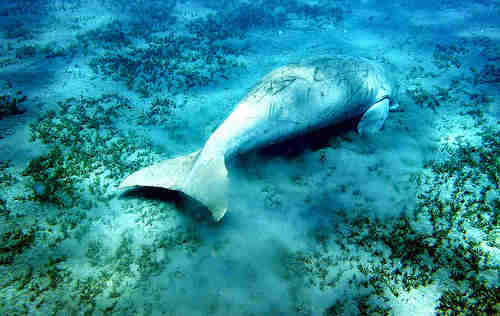 Dugongs also have fluked tails, which resemble those of whales, and manatees have rounded tails. 3. They are cousins of the elephant. 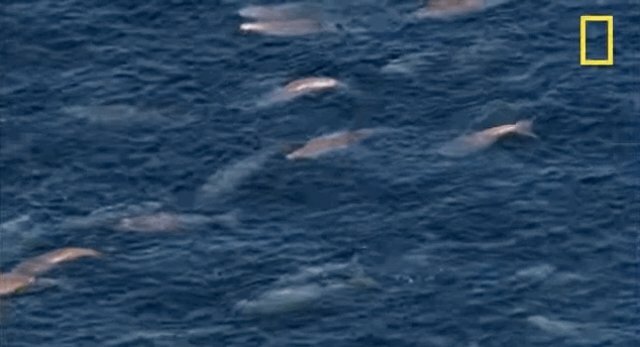 Even though dugongs are grey and slow-moving, it's still pretty surprising that these creatures are more closely related to elephants than they are whales or other marine life. 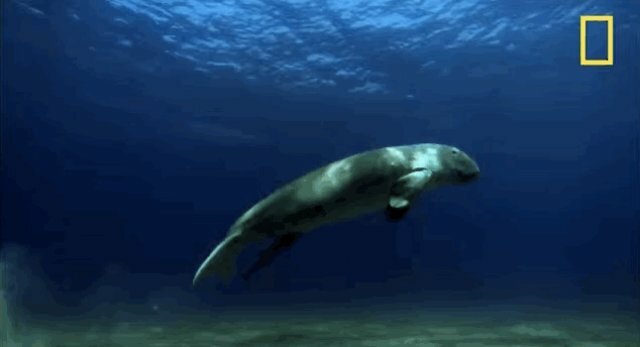 Male dugongs actually grow tusks, which only become visible in maturity. 4. They have nifty noses. 5. They really ARE big-boned! 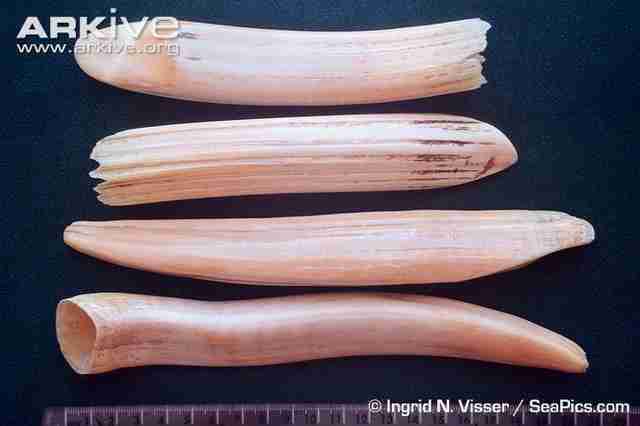 Dugong bones are very dense, which help to keep them submerged. Conversely, their lungs run along their backs and act as floatation devices, keeping them horizontal in the water. 6. Their populations are in decline. 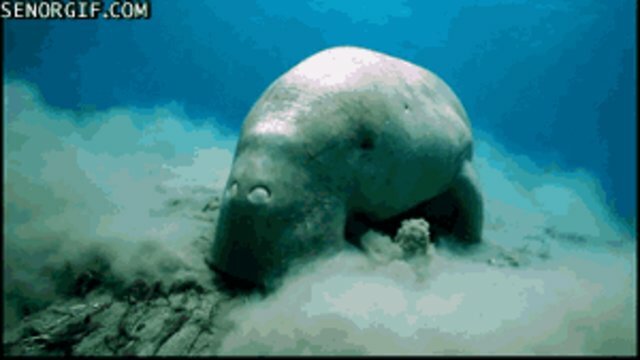 Dugongs are defined by the United States Fish & Wildlife Service as "Endangered," and have been listed as such since 1970. 7. There's still hope for them. 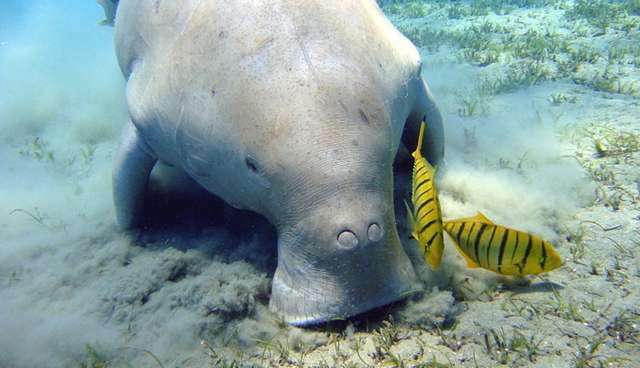 There are conservation efforts in place for the dugong, such as the 16 Dugong Protection Areas which were established in the Great Barrier Reef World Heritage Area. You can learn more about the projects being undertaken to help these amazing creatures and how you can help here.